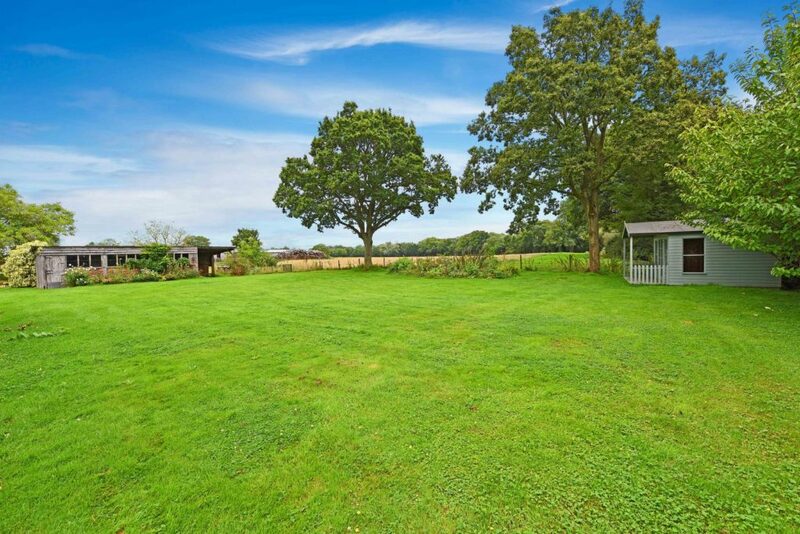 A detached four bedroom bungalow situated in a large garden plot, overlooking farmland. 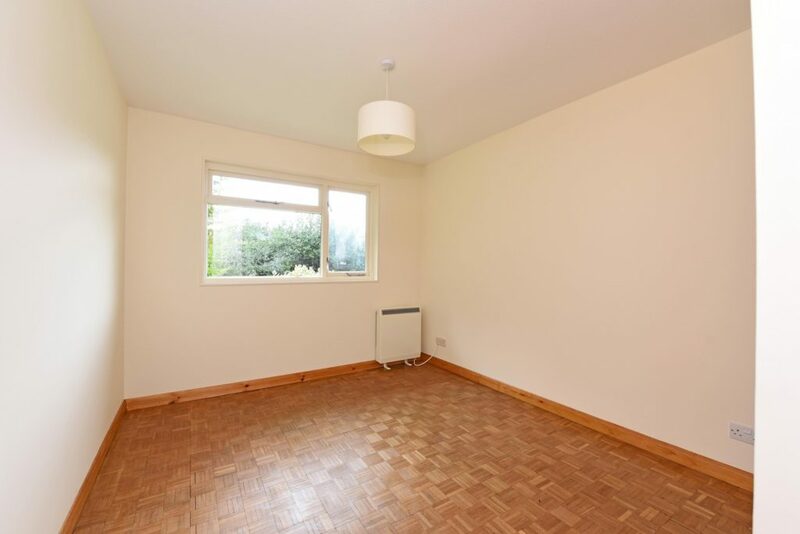 The property is well-presented with parquet flooring, a modern white high-gloss kitchen, stylish bathroom suite and a log burner. Outside is a triple bay open garage and outbuildings. 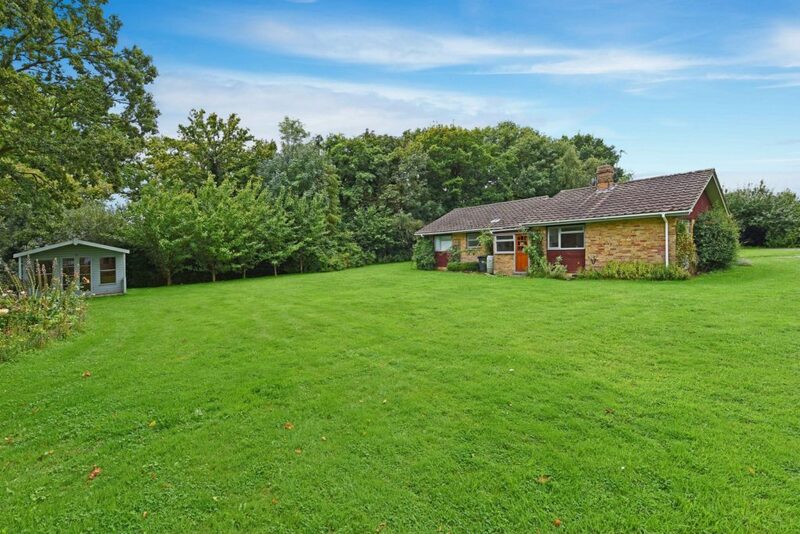 The property is situated off the A281 between Cranleigh and Alfold. The driveway culminates in a gravel turning circle with an open bay garage providing parking for three cars. 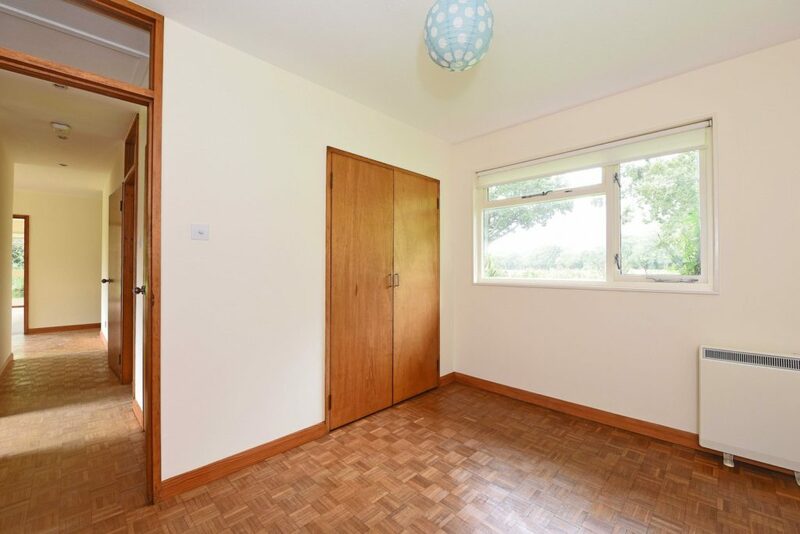 The front door opens into the entrance hall with parquet flooring that runs throughout the reception rooms and a cloakroom with a shower cubicle. 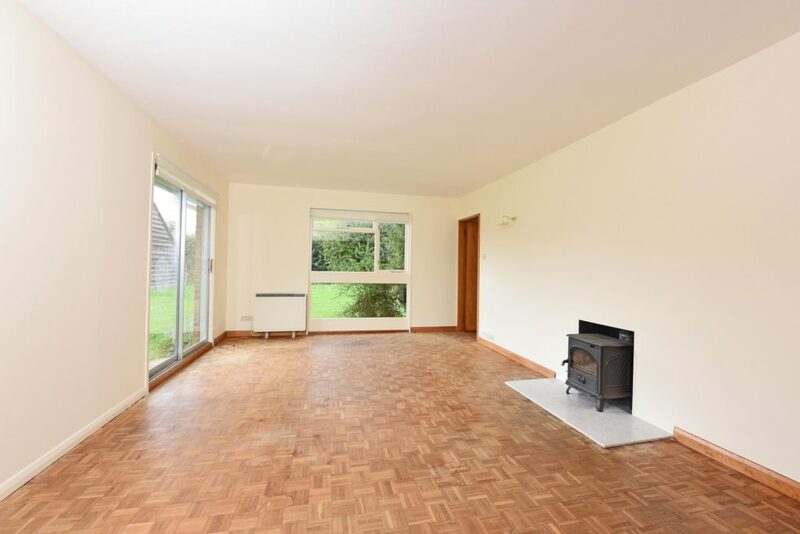 Double doors lead into the family room which enjoys a double aspect with patio door to the garden and a log burner. 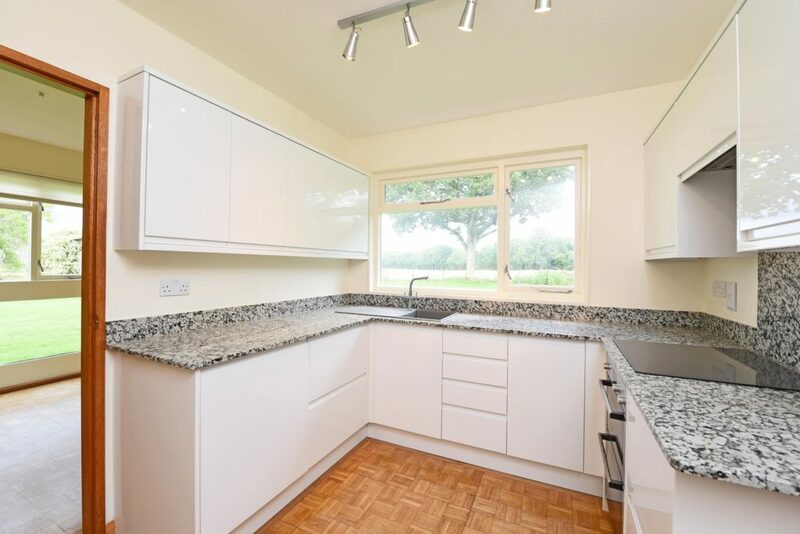 The adjoining dining room leads into the kitchen which is fitted with a range of modern high-gloss white units, integral oven and grill, ceramic hob, dishwasher and fridge. Back to the entrance hall, a corridor leads to the bedrooms and bathroom. 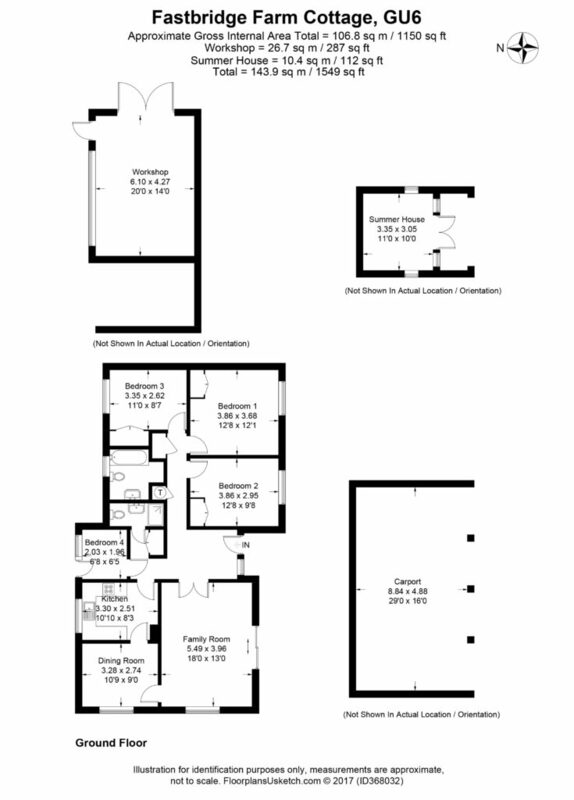 The three principal bedrooms are all doubles and are fitted with built-in wardrobes. 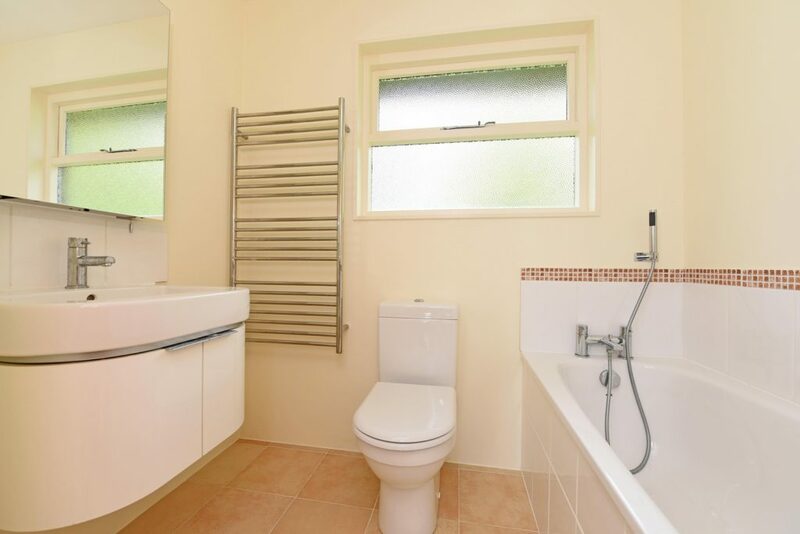 The bathroom is fitted with a modern white suite of a bath with a shower attachment, basin and vanity unit, wc, wall mounted mirror and heated towel rail. 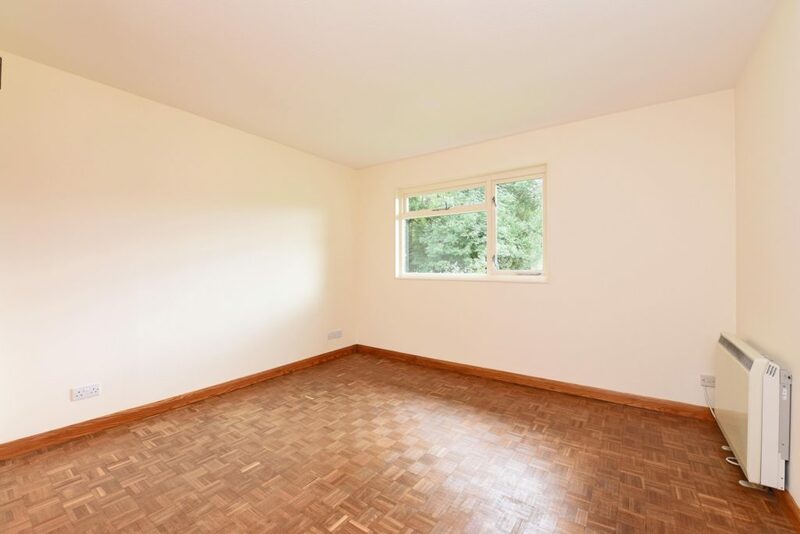 Bedroom four is a small single, or alternatively it could be used as a study. 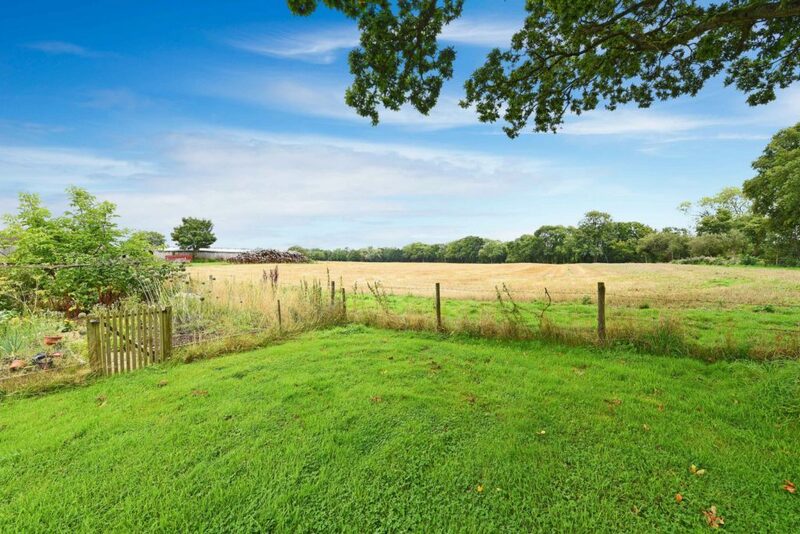 Outside, the large garden extends around the property and is mainly lawned and enjoys an outlook to the rear over farmland. There is a timber summer house and a large workshop. 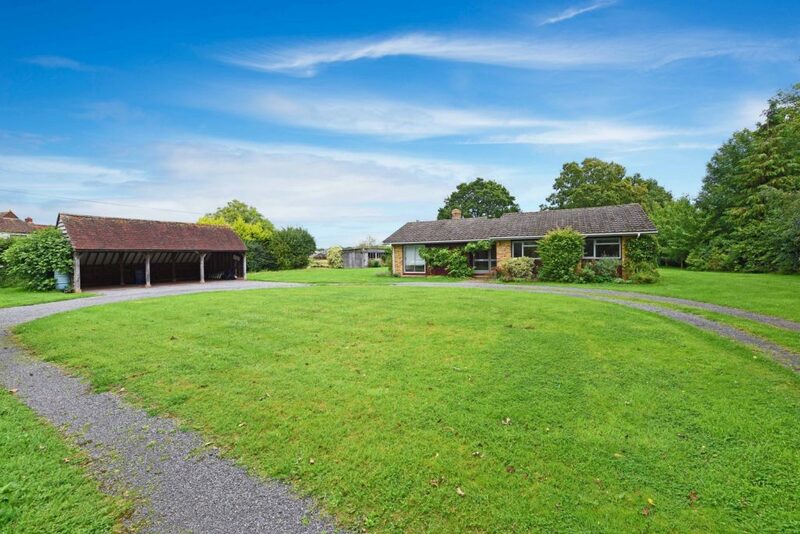 A detached four bedroom bungalow situated in a large garden plot, overlooking farmland. 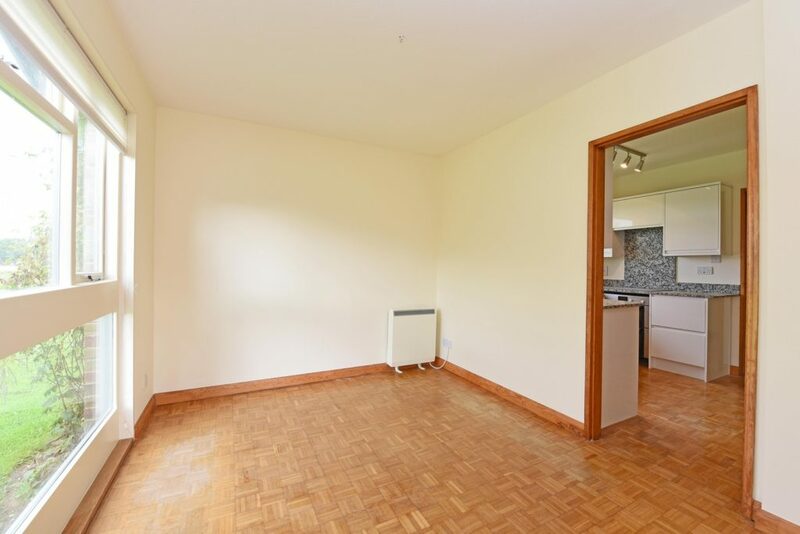 The property is well-presented with parquet flooring, a modern white high-gloss kitchen, stylish bathroom suite and a log burner. Triple bay open garage and outbuildings.